MIGNONNE: Rustic Reclaimed Farm Tables Encore! Rustic Reclaimed Farm Tables Encore! A client of ours wanting to be budget savvy, came to us hoping that we could help accomplish a great blend of modern rustic & reclaimed. We went through a plethora of design options, looking at photos here and there for inspiration. Giving us the lead on final material choices, the pressure was off to come up with something truly unique! 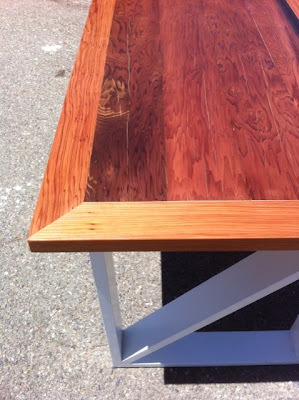 Salvaged reclaimed redwood, from an old Marin County water tank is the new table top. 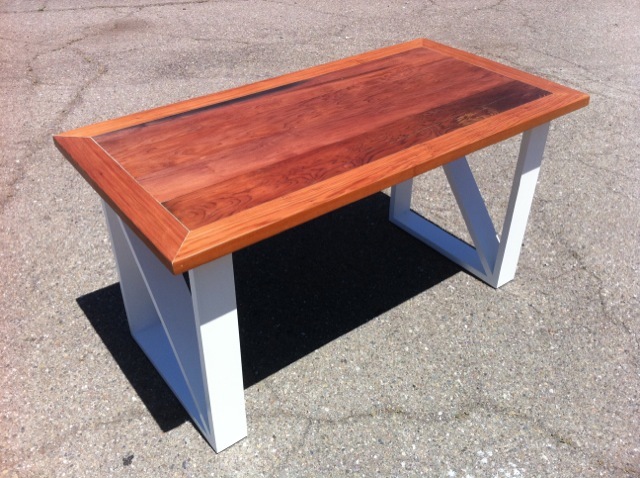 The base was painted in an eco white, which really makes the top pop! Metal stools will probably be paired for the head the chairs, and quite possibly we will build a reclaimed bench to pair with the table! 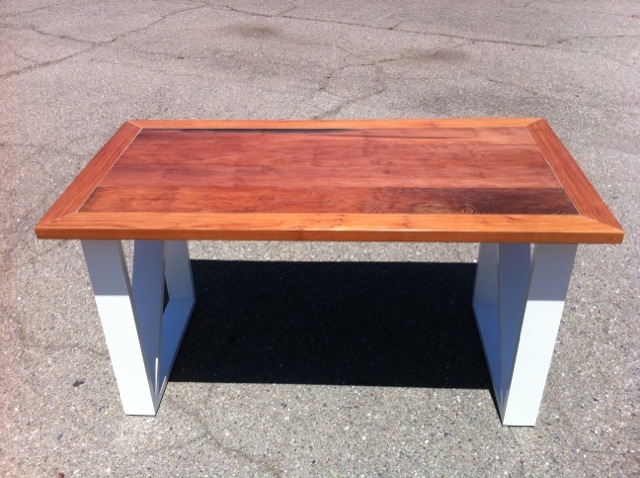 This table is a perfect example of how we can work with your specs to make a truly custom stand out piece for your home! email us ay quotes@mignonnedecor.com to start a dialogue of how we can help! There's a wooden furniture form to suit every budget and décor -- from rustic twig loveseats to classis cedar Adirondack chairs to sophisticated teak tables and benches.